via Tips On How To Buy Irish Jewelry For A Gift. There is not a doubt that giving your loved one jewelry says they are special. But giving someone of Irish heritage a piece of Irish or Celtic jewelry, steeped in symbolism and tradition could put them over the moon. The sentimentality of Celtic jewelry is phenomenal but finding the perfect meaning is key. It’s a timeless gift, like a family heirloom that can be passed on for generations. However, successfully selecting the perfect piece with that special meaning can be a wee bit confusing for some people. Simply follow these easy tips and choosing that perfect jewelry gift that speaks for itself will be effortless. 1. How old is the person you are shopping for? You really want to take the age of the pers on into consideration. If they are a child you’ll want something smaller in size, maybe with a touch of whimsy like an angel or fairy. If they are in their twenties to forties then have no fear and go trendy with an Infinity Knot or Stackable Claddagh Ring. If you are buying for somebody a wee bit wiser in their years then I would go with a traditional symbol of Ireland like an Irish Harp. 2. What type of jewelry do they normally wear? Start looking at how they currently accessorize their wardrobe. Do they wear earrings all the time? Are they long and dangling or are they smaller and close to the ear? Do they like bracelets and rings or are they a necklace person? If you are buying a ring it is important to get the size correct. Many online jewelry retailers offer a ring sizing tool. A simple ring sizing guide to measure your finger or an actual ring online. By using this simple tool it eliminates the hassle of having to make a ring exchange. 3. Is it a religious occasion? Having an understanding of the event or occasion you are purchasing your jewelry gift for is very important. If it is a religious ceremony like a communion or confirmation you should go with something more traditional like a Celtic cross, medal or rosary. 4. On the other hand shopping for a birthday gift can be fun. Take the person’s personality into consideration. Are they fun and vibrant with a great sense of humor? Then go with something whimsical that has a punch of emerald green color like the “Little Irish Devil Shamrock” necklace. If they are a little more mystical and free-spirited try a legendary style like the “Children of Lir” pendant, “Irish Tree of Life” or something with a Celtic knot theme. If they are a bit more reserved then try a more traditional shamrock pendant, trinity knot or a claddagh necklace. 5. Who is the person you are shopping for? If you are shopping for a sibling or close friend who is like a sister then you should consider a style like the “Celtic Sisters Knot”. For a more romantic gift we recommend shopping for a love knot or a claddagh ring, a symbol of friendship, love and loyalty. 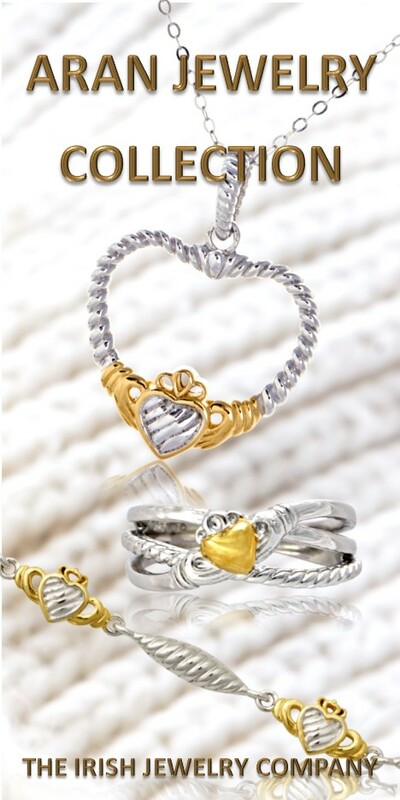 If you are shopping for a mom or mom to be then consider a style with loads of sentimental meaning like the “Celtic Mother’s Knot” or the “Mother’s Claddagh” collection. Any mother would be overwhelmed with joy by their meaning. If you are purchasing for a grandmother try considering a style like the “Family Birthstone Claddagh”. It can be personalized with all the grand children’s birthstones. What Irish grandmother wouldn’t love that? Irish and Celtic jewelry is inspired by customs and folklores passed on for generations over centuries from countries like Ireland and Scotland. Giving a piece of jewelry like this as a gift is a wonderful tribute to someone’s heritage. Jennifer Derrig, Owner of http://www.TheIrishJewelryCompany.com. 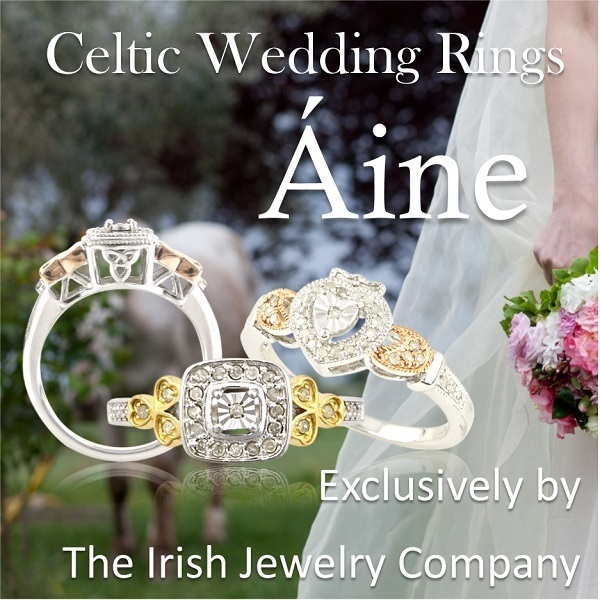 Shop The Irish Jewelry Company for all your Irish Jewelry needs.